The Tangent began in 2002 as a project to record some compositions of the band's primary writer, Andy Tillison, with several members of The Flower Kings (Roine Stolt, Zoltan Cs?rsz, and Jonas Reingold), David Jackson and some of Andy's friends (Sam Baine, Guy Manning). During that first recording (which was going to become The Music That Died Alone), many of the musicians never met in person. After some critical acclaim, another album was recorded (The World That We Drive Through). This was followed by successful live performances, during which the project--which was only intended as a single-album collaboration--became a band. Roine Stolt and Zoltan Cs?rsz have since left the band and been replaced by Jaime Salazar and Krister Jonsson. At this point in time, The Tangent was a seven-member band spread across three countries and it continued to use technology to allow its members to collaborate despite their geographic separation and continuing commitments to other bands. Ex- Van der Graaf Generator star, David Jackson was also replaced by Theo Travis (sax/flute) in 2004. In 2006, departure of founder member Sam Baine resulted in a period of chaos inside the band. Guitarist Jakko Jakszyk was recruited to play in the fourth studio album (Not As Good As the Book) which was ultimately completed in 2008. In 2008, Jaime Salazar and Jonas Reingold departed and were replaced by the whole young Swedish prog band Beardfish, featuring Rikard Sj?blom (keyboards/vocals/guitar), David Zackrisson (guitar), Magnus Ostgren (drums) and Robert Hansen (bass). Beardfish continued to perform in their own right. 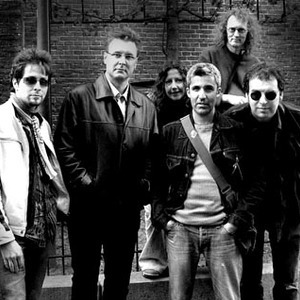 After the collaboration, Jakko Jakszyk decided to leave the band. Due to the busy schedule of Beardfish the 2009 album Down and Out in Paris and London has seen yet another lineup change, with the addition of Jonathan Barrett (bass), and Paul Burgess (drums). Guitars in the album are played by Tillson, due to the difficulties in finding a new guitarist.